The National Beer Wholesalers Association (NBWA) represents the interests of 3,300 licensed, independent beer distributor operations in every California, congressional district and media market across the country. Beer distributors are committed to ensuring alcohol is provided safely and responsibly to consumers of legal drinking age through the three-tier, California-based system of alcohol regulation and distribution. 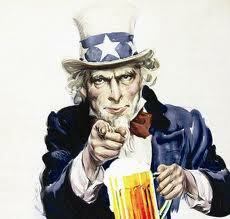 To learn more about America’s Beer Distributors, visit http://www.nbwa.org.